Want to get your resume reviewed by a career coach… for free? 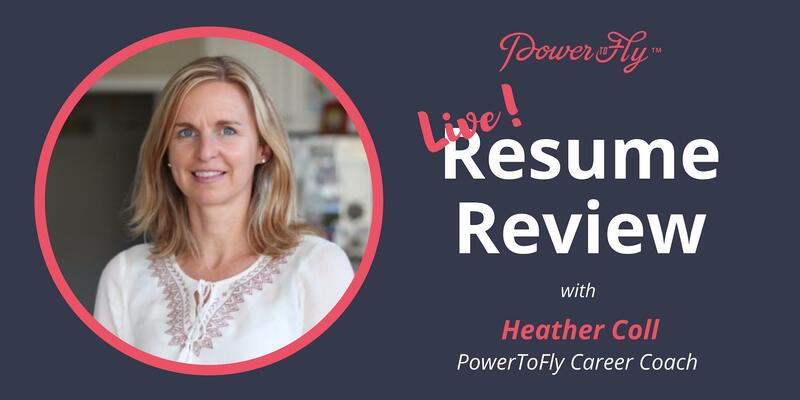 Then join us for this live virtual chat with PowerToFly’s Career Coach, Heather Coll, for the chance to get her expert tips on how to make your resume stand out to recruiters! How can I get my resume reviewed by Heather, Live? The profile will be selected randomly at 3:01 during the call!